All of Parker's grandparents live long-distance - in completely different states! And he's one loved little man as he's the only grandchild on both sides. I try my best to send current photos digitally, but nothing compares to printed pictures... something to attach to the refrigerator, or display on a desk, or prop up on the kitchen counter. 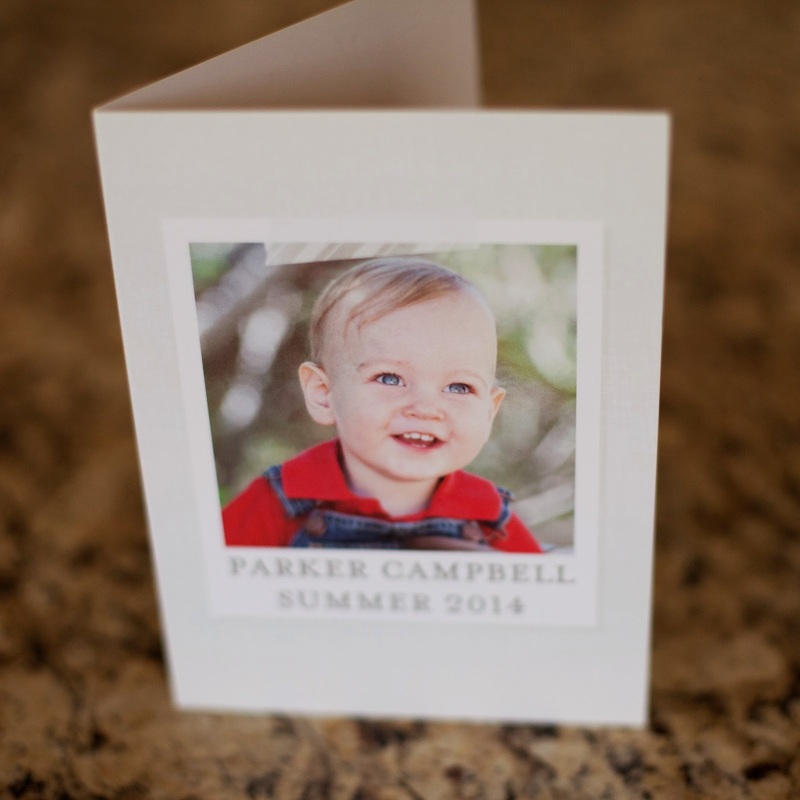 So, all of Parker's grandparents are getting a mid-summer's surprise in the mail this week! How did I make these adorable cards, you are wondering? Well first, it helps to have a cute baby boy to photograph, obvi. And next, all I did was log in to treat.com to create them! I have a secret: I've been using Treat for over a year now to make tons of personalized cards. 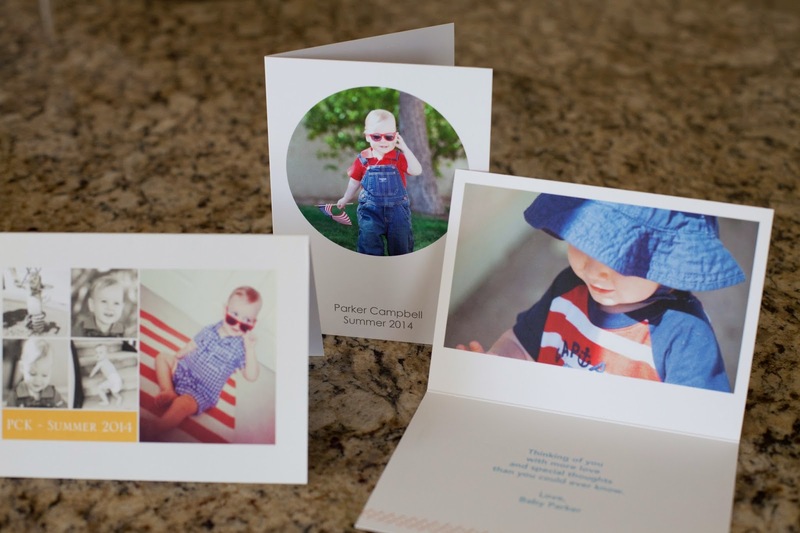 Birthday Cards, Thank You Cards, Valentine Cards... you see, I was always a big fan of Shutterfly, and I was always bummed I couldn't make just one card on their site. They were great for the holidays when I wanted to order a bunch, but I couldn't make and order just one card. Then, one day, like an answered prayer, bam. There was the link for Treat on Shutterfly's webpage. 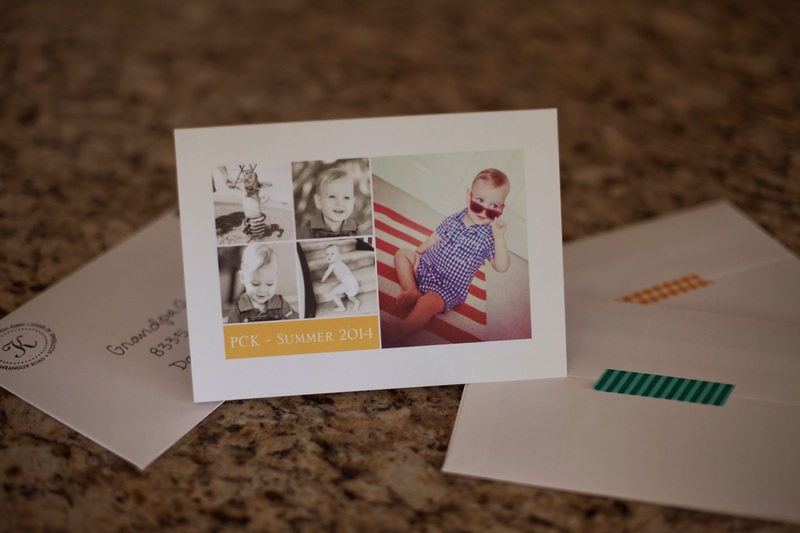 It was everything I was asking for - a way to make super special, unique and personalized cards, with the ability to order one at a time. I was hooked. One of my favorite features of the site is that they will mail your cards for you! 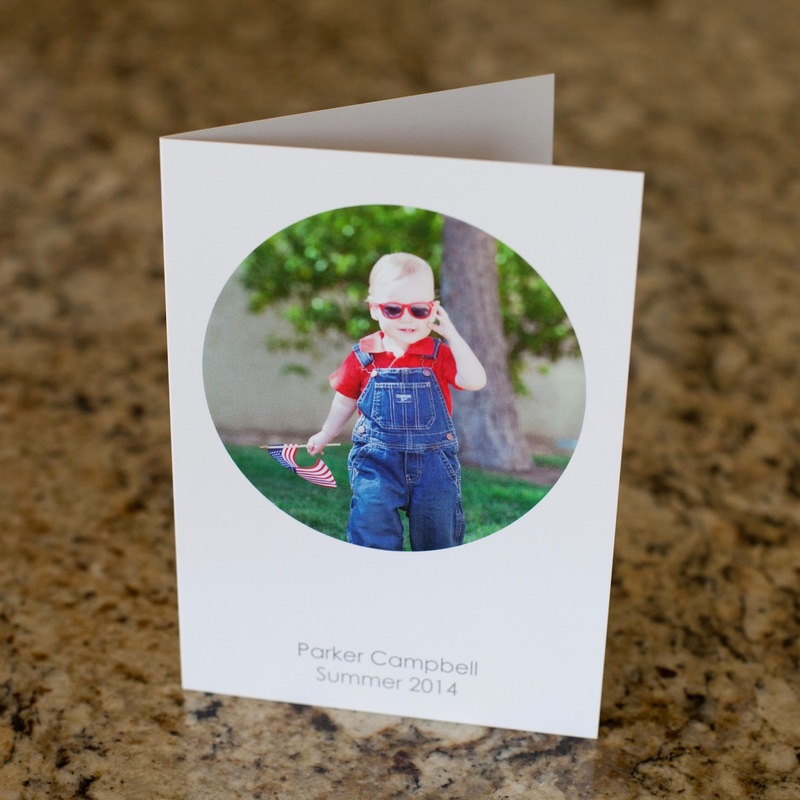 You create the card, click order, and it will be sent to the recipient! Treat stores addresses in your account, too, so if you've ordered for a person once, the address will be waiting for you for the next time. I love having all my addresses already in my account! Treat will also send your cards at a later date for you (order in May for someone's July birthday for example), however I haven't been on-the-ball enough to use that feature yet! You can have Treat just send the cards to you, which I do if I'll be giving them out in-person. And while I do usually use the send feature, I decided to have the grandparent cards sent to me so they all get handwritten messages. P.S. 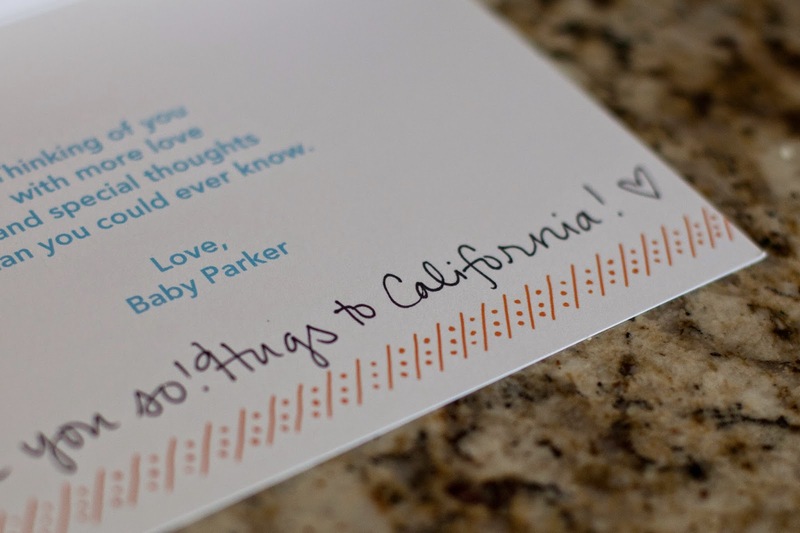 The icing on the cake: Treat cards are actually less expensive than buying regular cards at the store! I stock up and buy their big packs since I know I'll be using them. I think so, too! And the site has so many to choose from! What a great idea! I try to do all my card shopping in the beginning of the year, and I'm shocked at how much greeting cards cost!! The ones you found are so sweet and the service of sending them for you is so great.